Hackathons (hacking marathons) are events where a group of people works together on a pre-defined set of problems, intensively, for a period of a few days. Mostly "hacking" means coding, programming, software development - but there can be other creative activities involved. Although a hackathon could be competitive, the APNIC Hackathon will be a cooperative/collaborative activity, creating free and open source products. They bring together network operators, researchers, designers, students, developers, testers and maybe even experts in other areas (journalists, analysts, activists, lawyers, etc.) that could also contribute through their experience and background, despite of not having technical skills. 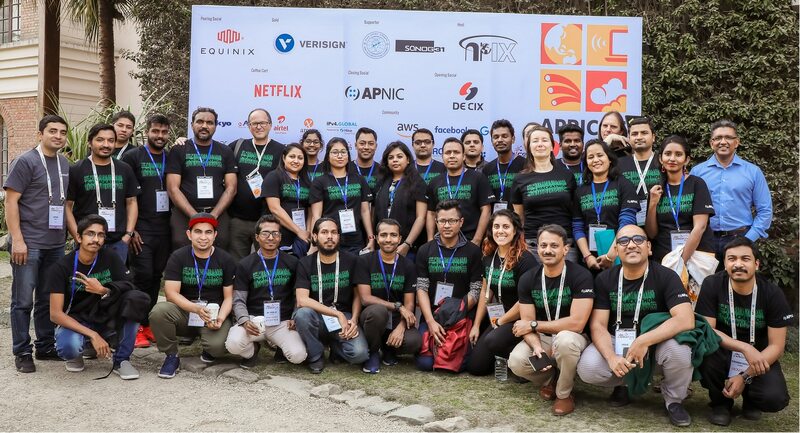 The 1st APNIC Hackathon at APRICOT 2018/APNIC 45, with support from RIPE NCC, was a great success, with 24 participants from eight different economies working collaboratively on IPv6. The 2nd APNIC Hackathon, with the theme "A DRUM" (Addressing Delegation, Routing and Usage Measurement), will be co-located with APRICOT 2019/APNIC 47. Attendance to the 2nd APNIC Hackathon is free but limited to 25 participants. Applications to participate are open to all. A committee will select the participants based on their skills, diversity and geographic spread. Participants do not need to know a specific programming language or technology, but must bring their own computer to the hackathon. Participants will receive a APNIC hackathon T-shirt, certificate of participation and assorted prizes. Teams with the most interesting results will get the chance to present their project during the conference in the lightning talks session. It's widely accepted that "what gets measured gets managed", although nobody is sure who said this for the first time. The second APNIC hackathon will look at measurement around Internet number resources: delegations, routing and usage. More details will be discussed and provided at the hackathon introduction session on Friday, 22 February 2019. APNIC thanks Facebook for sponsoring the hackathon. Participants must publish the source code they develop during the hackathon on GitHub under an OSI (Open Source Initiative) approved license. GitHub Terms of Service are available here. In case participants do not have a GitHub account, their developed source code will be published by APNIC under a GPL license.